Mältinranta Artcenter, a former City water purification plant, is situated in the nothern corner of the Tampere city center, by the Tammerkoski rapids and the old Finlayson cotton factory area. For visitors the Finlayson area and its surroundings offer a lively area of museums, galleries and other cultural and leisure activities, historical monuments, restaurants, cafes and other services. Mältinranta Artcenter houses two art galleries (Gallery and Studio), Art Lending Service, the office of Tampere Artists´ Association as well as workshops for professional artists. Galleries presenting high-quality contemporary art are open for public Mon – Thu at 12-18, Fri – Sun at 12-16. Pictures of current exhibition can be seen here. Pictures of past exhibitions can be found from Past exhibitions. The Art Lending Service, ”Arts Library”, with its numerous paintings, prints, drawings and sculpture includes works by over 100 artists from Tampere Artists´ Association. It also serves as a versatile and ever changing sales collection of local art. Works in the collection can be seen here (only in Finnish). Tampere Artists’ Association has over 280 members (in January 2019): painters, sculptors and printmakers, as well as artists working in the other fields in art (media art, photography, performance). The purpose of the Artists´ Association is to develop work conditions and to promote work opportunities for its artists and to provide opportunities for them to exhibit works regularly. List of artists and links to their webpages. 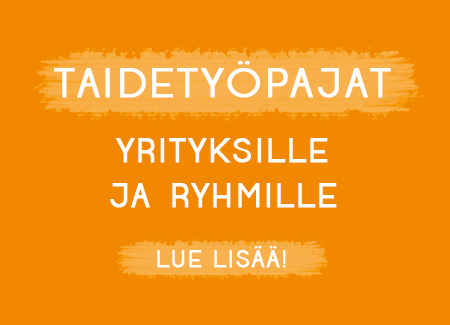 How to apply for membership in Tampere Artists´ Association? The workshops in Mältinranta Artcenter are meant mainly for the use of local professional artists. There are workshops for print making (e.g. intaglio, silkscreen and litography), a ceramic oven, a workshop for metal works with welding equipment and a monument studio for making large artworks. The Association also offers art courses for professional artists and amateurs alike. Open Mon–Thu at 12–18, Fri–Sun at 12–16.